This property has had 29 views in the last 3 days! NEW EXPANDED KITCHEN COMPLETED FOR 2019! 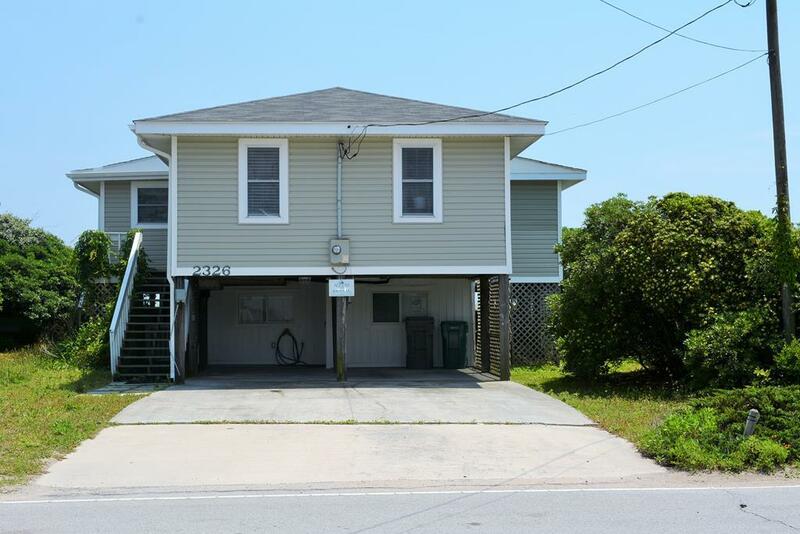 "Sunny Dayz," a charming, updated three bedroom, two bath home located directly on the beaches of Topsail Island, is a popular vacation destination for many who seek fun in the sun on beautiful Topsail Island. Enter the house from the staircase located in the carport to the front door. Here, you enter the home directly into the living room. The living room has a large L-shaped sectional, two arm chairs and a flat screen TV for relaxing after a long day in the sun. Double sliding doors to the beach-front deck allow for sweeping views of the water right from the couch. Behind the living room lies a cozy kitchen with a dining table perfect for six. To the right of the front door bedrooms one and two are found. Bedroom one has a double four-poster bed while bedroom two has two twin beds and a wall mounted flat screen TV. Both of these bedrooms share a bathroom located in the small hallway with a stand up shower. The master bedroom in located to the left off the living room. The master bedroom has a queen bed, flat screen TV, private full bathroom and sliding doors out to the beachfront deck. Hands down, the best feature of this house is the sweeping beachfront deck. The newly built deck stretches across the entire length of the house. A dining table is located in the middle of the deck off the living room, perfect for an alfresco meal. This special outdoor space allows for private access to the beach, ensuring that you are always just steps away from a fun filled day in the sun at "Sunny Dayz." "Great home with easy going layout- would definitely stay again!"